Thought Peek: Get race ready with the Fit for Summer Sale in Industria at Circulo Verde! 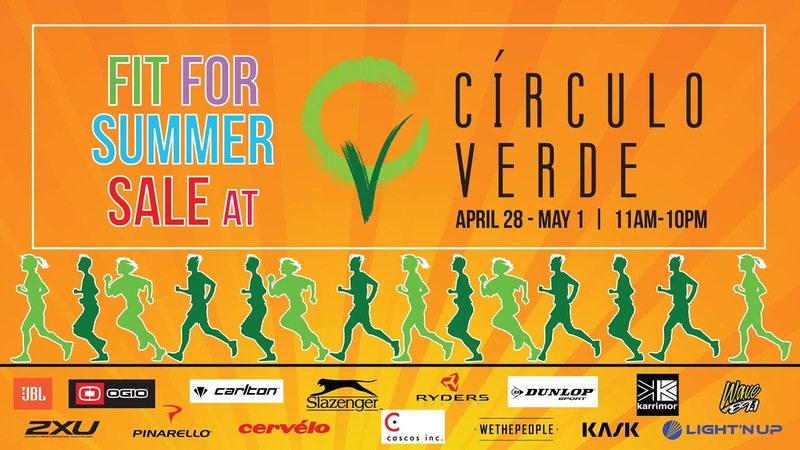 Get race ready with the Fit for Summer Sale in Industria at Circulo Verde! The hottest summer sale in the north of the metro is hitting Industria at Circulo Verde starting April 28 to May 1, from 11AM to 10PM. The Fit for Summer Sale by Light’N Up will be bringing the best sports and active lifestyle products in the country into one convenient place. Whether you’re a runner, a cyclist, or a mountaineer, this sporting goods sale will have the quality equipment and clothing for athletes of all kinds and levels. Sports enthusiasts can expect participating brands like Dunlop, Pinarello, Blackburn Design, Wethepeople, Prodigy Sports, Carlton, Ryders Eyewear, Slazenger, 2XU, Cervelo, Zoot Sports, Karrimor, JBL, and more to take part in giving out various raffle prizes and shopping sprees. Discounts up to 60% off selected items along with other promos will also be offered during these four days. Industria at Circulo Verde touts itself as an “anti-mall” – a hip solution for the young, edgy, and artistic market hankering for alternative places to shop, dine, and be entertained. It also functions as the neighborhood center for a growing number of residents in the Majorca, Ibiza, and Seville Residences, as well as Circulo Verde Garden Homes—all within the 10-hectare development at Bagumbayan, Quezon City. Drop by Industria at Circulo Verde along Calle Industria to grab the best deals to help you get fit and race ready this summer!